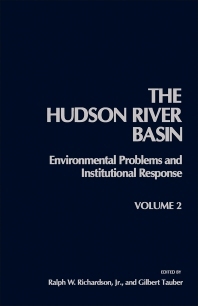 The Hudson River Basin: Environmental Problems and Institutional Response, Volume 2 covers a wide array of serious and complex environmental problems, reflecting the poor state of the environment itself. Most of the environmental problems in the Hudson Basin today are the result, direct or indirect, of the tremendous population and economic growth in the 25 years following World War II. This volume contains five chapters that discuss the results of the Hudson Basin Project's task groups, which presents numerous case studies of environmental controversies or "problem situations" in the Hudson Basin. The first chapters deal with the interdependence of policy areas and the applicable technology for water and air resources in the Basin. The next chapter describes the aquatic and the terrestrial communities in the Hudson Basin. The last chapters are concerned with the human health, leisure time, and recreation within the area. This book will prove useful to environmentalists and researchers.